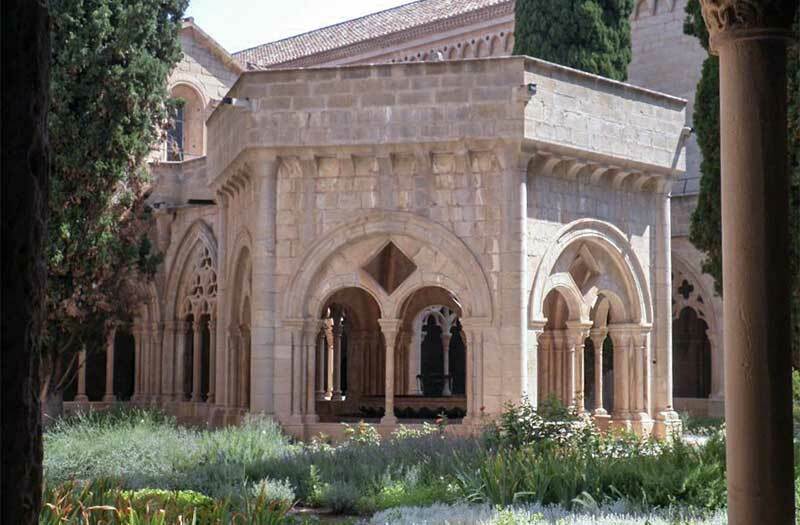 From what I have read, of the three Cistercian monasteries, along La Ruta Del Cister, in Spain, Santes Creus is the most faithfully follows the construction plan of Bernard. 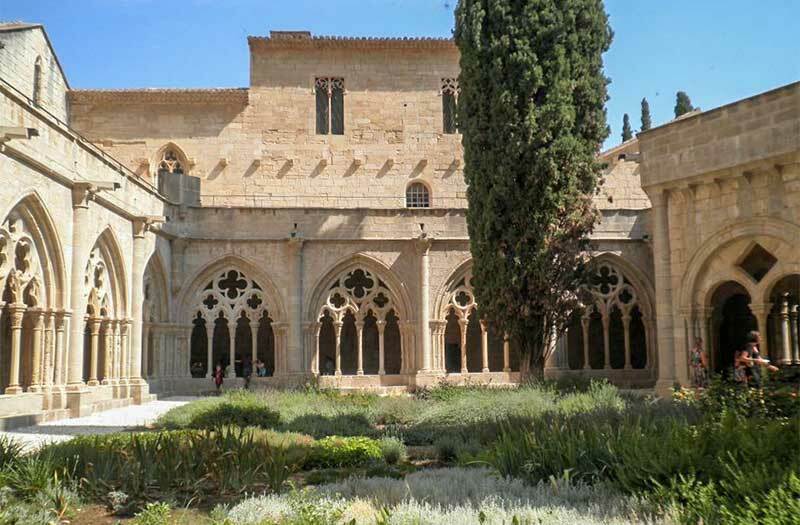 It is ene of the largest and best preserved Cistercian monastic ensembles that we can visit today. 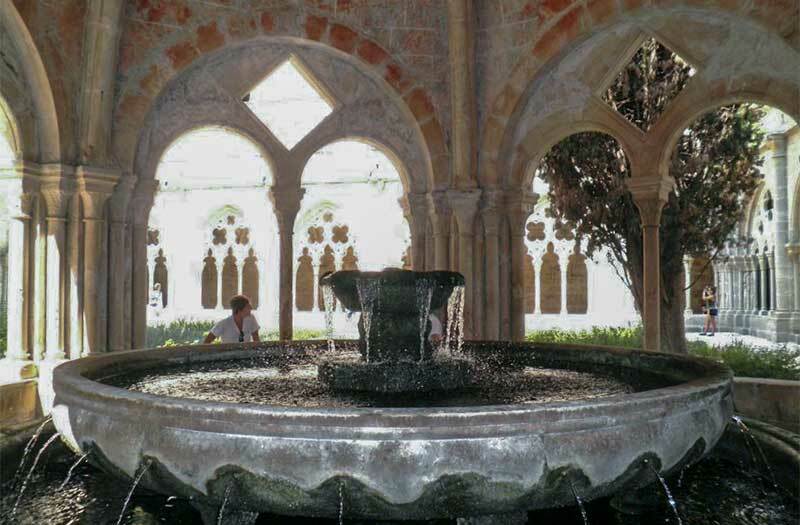 We have not visited Santes Creus yet, but it is on our list for the first opportunity we have to travel in Spain. The Monastery was established 1168. It was protected by kings and nobility and also became a center for spiritual studies. Its monastic life was active until 1835. Inside the sober and what is described as stunning architecture, are the royal tombs of Peter the Great and of James II and his wife Blanca of Anjou, and Admiral Roger de Llúria. 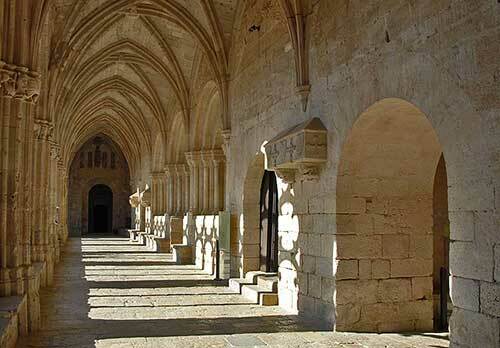 With the 14th Century Gothic cloisters are the Chapter House, the Escriptorium the Dormitory of the monks. There are elegant carved decorations. 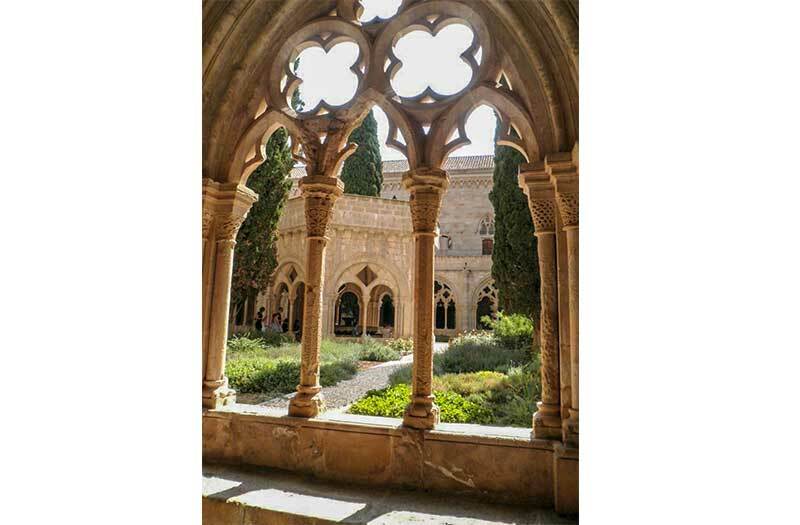 The scenic and visual montage "The world of the Cistercians", considered among the best in Europe of its kind, gives a very full and fascinating of the Order and its legacy. Closed on Mondays and holidays. October to May 10 to 7 and June to September 10 to 6:30.